New Delhi: The first meeting of the BJP Delhi unit's core group held on Saturday evening to stratagise on the Lok Sabha polls ended in a whimper with two of its MPs giving it a miss while some others reaching at the last minute.The first such meeting presided over by Defence Minister Nirmala Sitharama, who has been appointed party's election in-charge in the national capital, raised questions about the "seriousness" of the senior party leaders. Party sources told IANS that North-West Delhi's MP Udit Raj and senior party leader and Union Minister Vijay Goel skipped the meeting while state BJP chief Manoj Tiwari reached minutes before Sitharaman was about to conclude her speech. The sources said the party's West Delhi MP Pravesh Verma arrived for the meeting after it had already ended.Besides Sithraman, the meeting was attended by co-incharge Jaibhan Singh Pawaiya, state 'Prabhari' Shyam Jaju, 'sah-Prabhari' Tarun Chugh and other members of the core group that included other party MPs. There are 16 members in the state core group. Although, Vijay Goel, the Minister of State for Parliamentary Affairs, is a Rajya Sabha member from Rajasthan, he keeps himself occupied with Delhi politics and state party affairs.Most of the attendees in the meeting whom IANS spoke with remained tightlipped, saying it was an organisational affair. But a senior party functionary said: "This shows their seriousness." 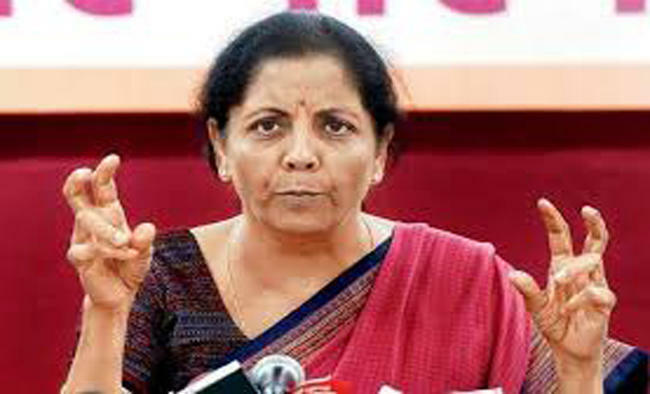 Another party leader said Sitharaman took stock of the party's preparedness for the 2019 Lok Sabha polls and said under the present political scenario, the party cannot afford to lose even a single parliamentary seat.In 2014, the BJP won all the seven Delhi seats with most of its candidates winning by a margin of over one lakh votes. Sources said Sitharaman will soon start districtwise meetings and her focus would on redressing the grievances of the party cadre. "She told party leaders to mobilise the workers at booth level. We have to reach every voter with the achievements of the Modi government and failures of the AAP government," a party leader said. The Aam Aadmi Party (AAP) has already let it be known that it will contest all the seven constituencies without any alliance with Congress, which recently appointed former Chief Minister Sheila Dikshit as its state chief.Dikshit, too, has made it known that she disinclined to have an alliance with AAP. The stage is thus set in Delhi for a triangular contest in the Lok Sabha polls, an edge to the BJP.